Simple elegance in a contemporary vase. 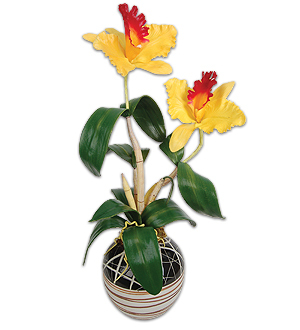 Yellow Cattleya with red throat. Cattleya also available in White with purple or yellow throat. Measures 58cm.